At Eden Area ROP Adult Programs, we seek to understand and respect the unique needs of our customers. 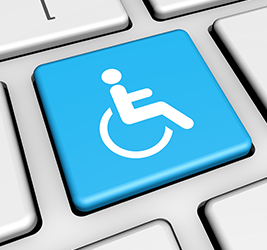 We are committed to ensuring the accessibility of our web content to people with disabilities. We make every effort to provide content on our website that will conform to the Web Content Accessibility Guidelines (WCAG) 2.0, Level AA. This policy applies to all new, updated, and existing web content on www.edenrop.org/adultprograms. Accessibility checks and training will be incorporated into the publishing workflow for all new website content, and the Eden ROP Adult Programs website will be reviewed annually to maintain website accessibility standards. Please report any accessibility issues to Phyllis Trieu or by using the feedback form below.